Vermonters are totally copacetic with the bats that have turned the attic of their 155-year-old State House into a gold-domed bat cave, the AP reports. Right before a recent ceremony in the Cedar Creek Room, a bat swooped in, dived past the huge mural commemorating a Civil War battle and headed for the Senate chamber... they just closed the doors, opened the windows from the outside and let the bat fly out on its own. "People come here and say how open the building is," Vermont Capitol Police Officer Dale Manning says. "Bats flying around while you're doing business is just kind of a rural, fun thing." Although bats can carry rabies and other diseases, the risk of transmission as bats fly through the open space of the in the capitol building is low, according to a bat biologist for Vermont's Fish and Wildlife Department. How many bats are the Vermonters cool with? "A lot of bats," says Vermont State Curator David Schultz, who describes himself as "very pro-bat because, of course, we're losing them." Vermont's bats, like many bats across eastern North America, are suffering from white-nose syndrome, a fungus that attacks hibernating bats. 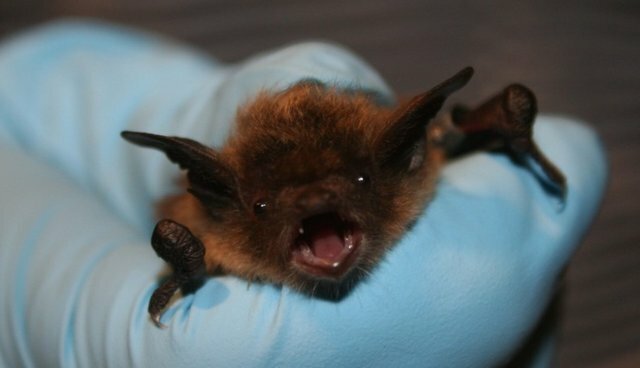 Populations of little brown bats and long-eared bats have dropped 90 percent over three years.